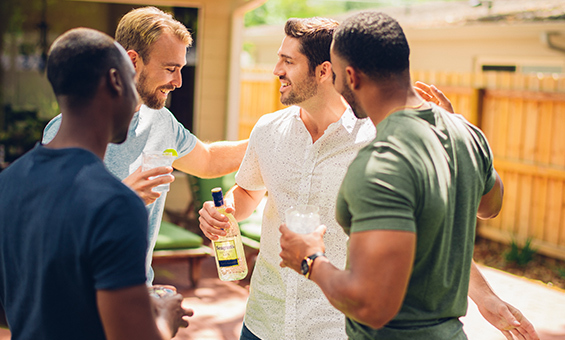 Spry collaborated with long-time partner, Ready Set Rocket (NYC) to create a fresh and vibrant social campaign for Seagram’s Gin. Our creative team provided valuable support throughout the campaign’s development and execution. 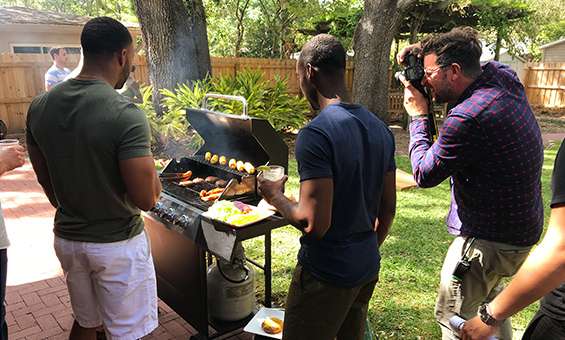 As a local liaison, Spry proved pivotal in booking the talent and location along with sourcing an art department worthy of a impromptu backyard hang. 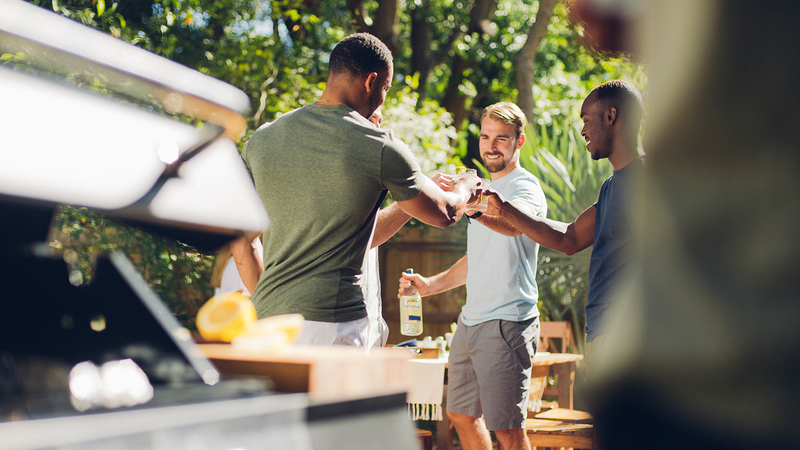 Following production, Spry delivered a collection of color corrected, retouched images and composited GIFs ready for immediate campaign use. 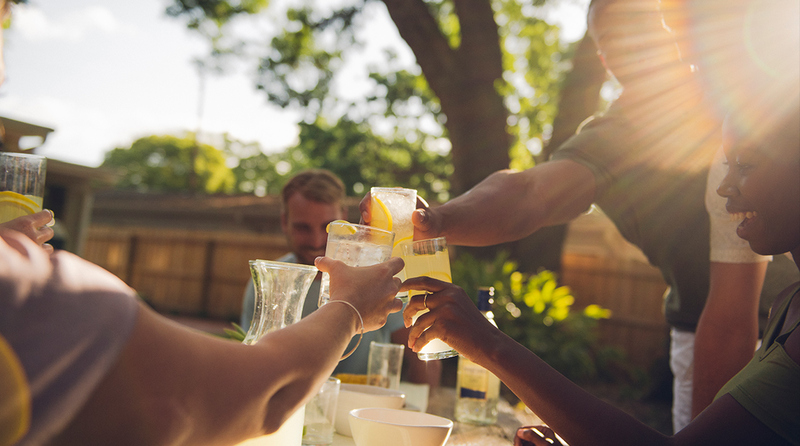 Building on a strong creative foundation, Spry worked to establish the essence of the campaign through a friendly, backyard hang between friends. 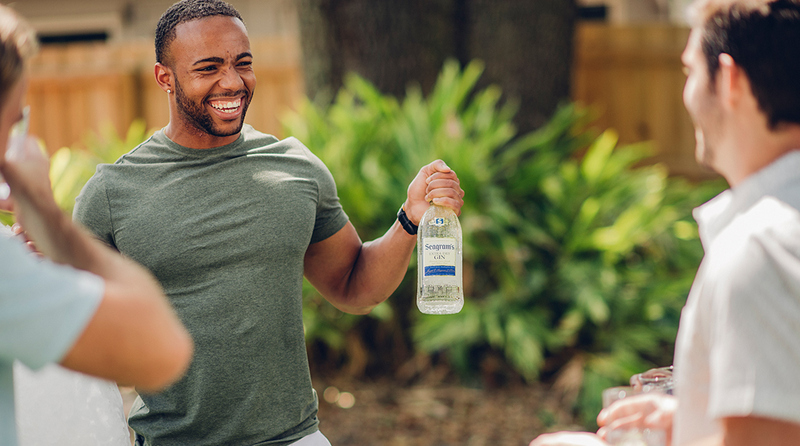 Seagram’s Gin is currently shifting its demographic focus to appeal to a broader range of audiences – namely people who prefer low-key hangs over bumping nightclubs. This goal inspired a look and feel that would subtly divert from the mostly urban roots of the brand and further expand the brand’s reach into new markets. We took the first step in realizing this shift through the use of a diverse talent pool, anywhere America vibe and lastly, in the color treatment of the final images. 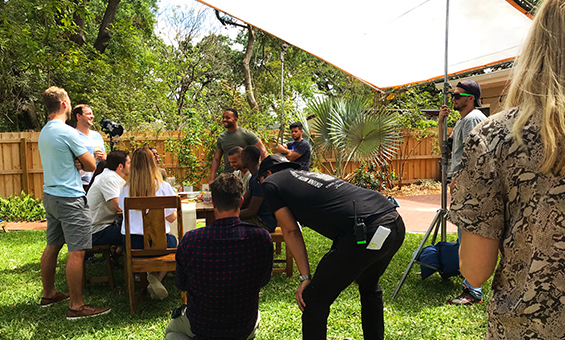 As we moved into post production, we took a leap of departure from the 2016 campaign and expanded the color space to open up a range we felt would speak to a more current, wider audience and in-turn, keep the campaign true to direction. 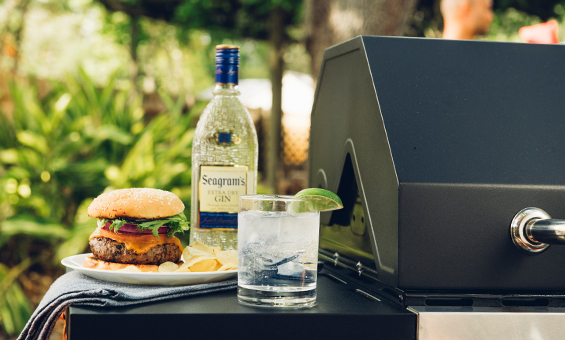 Through these strategic decisions, we were able to openly and clearly represent a casual summertime experience thus framing Seagram’s Gin as the centerpiece of any backyard cookout. As with any production, challenges are expected. In this case, we were presented with the ask of delivering 30 assets to run through the full summer campaign along with two key visual images for multi-year, OOH use – all in one day, at one location. 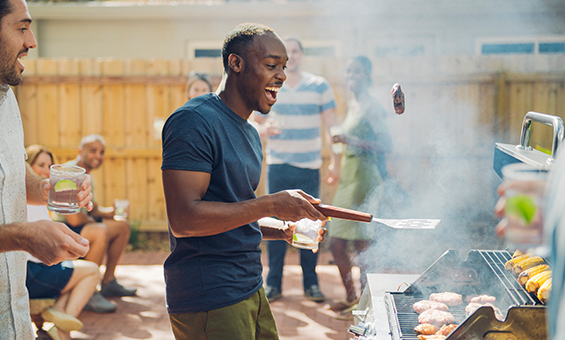 In order to make this happen, we worked to develop a series of organic scenarios all taking place within the greater framework of a backyard cookout. Each scenario was built to allow the talent to interact as they would naturally in such a party setting. During production, we chose to un-tether and let our photographer truly immerse himself in the action unfolding before him. 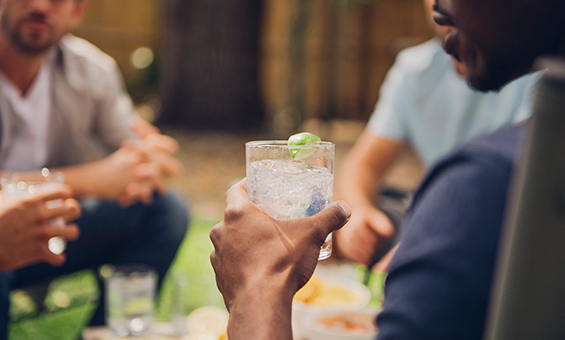 He became a part of the group and each image truly represents the accessible nature of Seagram’s Gin. Through these techniques, we were able to diversify the overall look of the campaign and further extend the life span of the assets. Created in Orlando, Florida. Love what you do and create together.